German photographer Erwin Blumenfeld’s Dada background is evident in his collage-like images and photographic manipulations. 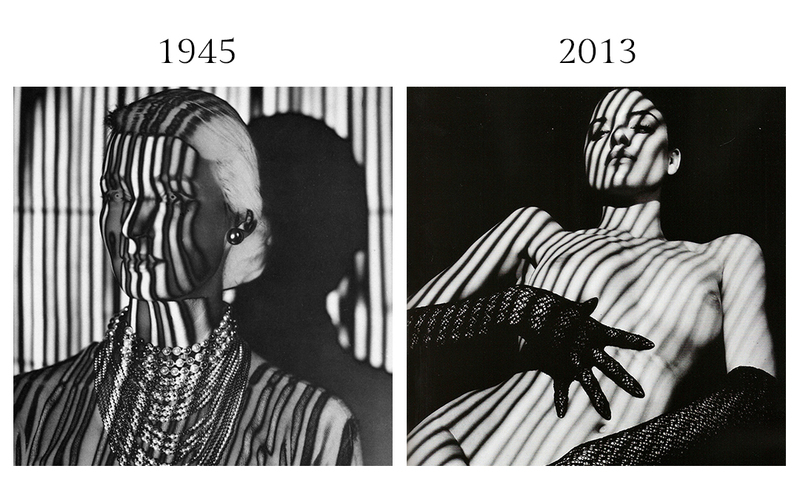 Shadows were often used to Blumenfeld’s advantage as illustrated in his c. 1945 image of an unknown model whose presence is sliced through the vertical shades cast upon her. Norwegian-born photographer Sølve Sundsbø would employ a similar lighting method in photographing Martha Hunt for Lui Magazine’s Winter 2013/14 issue.